I live near and frequently cross a beautiful bridge that spans more time than river. 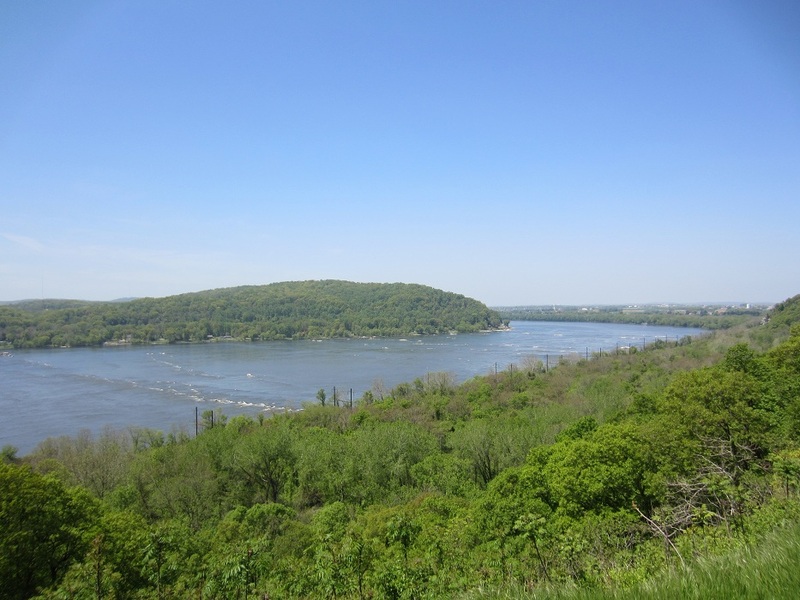 Above is my favorite picture of the Susquehanna. I’m standing on the west side in Wrightsville looking back to Columbia. The Veterans Memorial Bridge you see reflected like a mirror is well over a mile long; it’s 6657 feet, from it’s structural beginning to end. The tiny dot that is a man standing almost center on the third arch span in gives great scale for size. Carrying Pennsylvania’s Route 462, this is the longest concrete multiple arch bridge in the world. Begun in 1929 and completed in 1930, the architecture is stunning. Seemingly in motion, it marches across forever. As it leads your eyes down it’s length, you’re seeing quite a bit further than a 5280 foot mile. A closer look at the structural arch span and our curious man. This bridge is the fifth one to stand connecting Columbia to Wrightsville. In the very background is the sixth bridge, modern day Route 30 (Lincoln Highway,) completed in 1972. Incredibly, right behind the arched bridge are what’s left of the remaining abutments of an extremely old covered bridge, the world’s longest in its time. Originally built for pedestrian and horse and wagon travel in 1812 and completed in 1814, the first covered bridge connecting Columbia to Wrightsville was quite an amazing feat for its time. It had 54 support piers, likely about 100 feet apart. Knocked down by ice in the winter of 1832, this bridge was just north of the site of the old stone abutments. There is no known visual documentation of the first bridge. Possibly the first visual documentation of the second bridge is a London newspaper print featured below dating 1834. 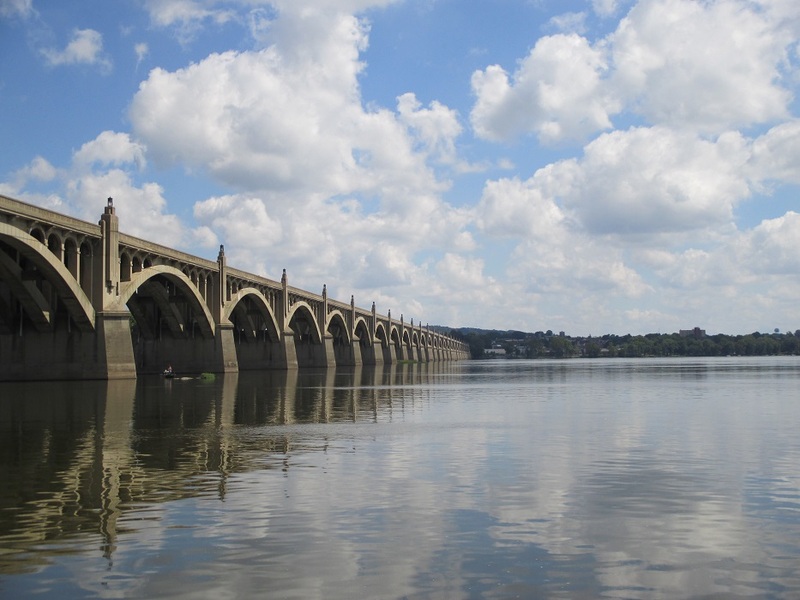 The second bridge to cross the Susquehanna at Columbia was the site of the stone abutments featured in the above photographs. It was built using some materials salvaged from the first bridge and started in the summer of 1832 and completed in the summer of 1834. This shingle covered and whitewashed interior bridge had only 27 abutments some 200 feet apart. 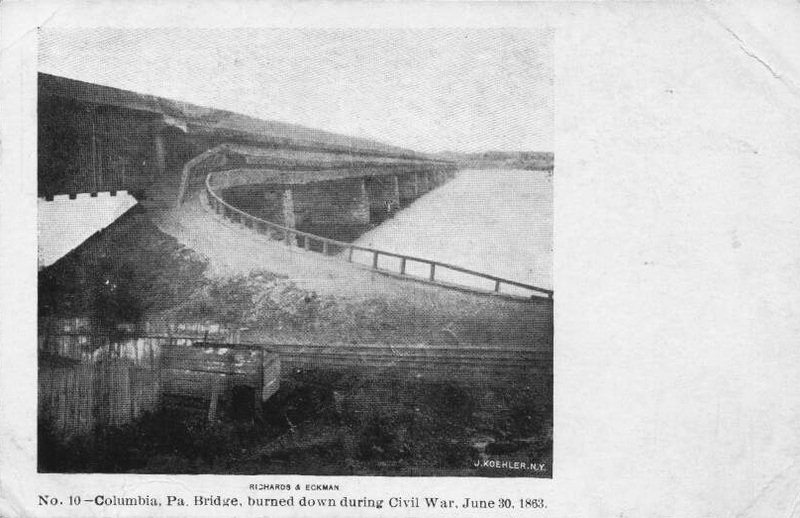 On June 28th, 1863, the bridge was burned by four men under orders of Union Militia Colonel Jacob G. Frick and Major Granville O. Haller to keep the Confederates from crossing into Lancaster from Wrightsville. Under Confederate General Jubal Early’s command, General John Brown Gordon’s troops had been sent east. 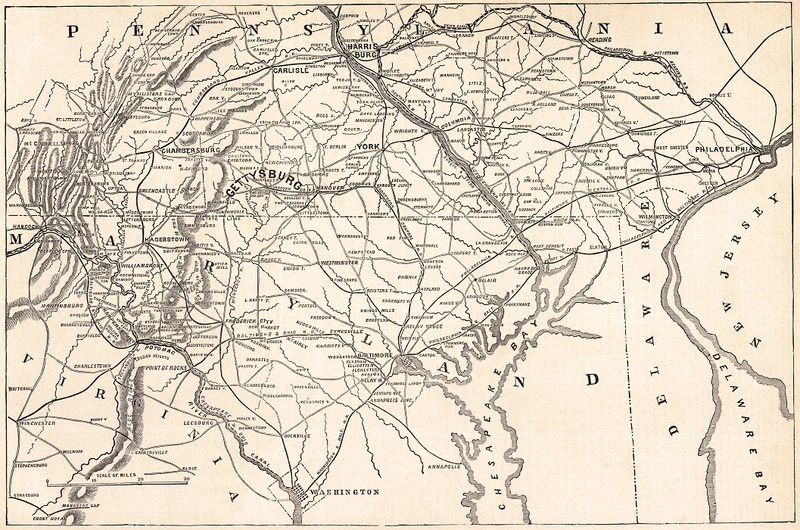 The Confederate Army had already burned Chambersburg, captured York on June 27th, and Gordon’s estimated 2000 Confederate troops were heading for Wrightsville. A mass exodus of citizens from York and Wrightsville had already fled across the bridge into Columbia and were continuing further east. A portion of Frick’s militia had originally entrenched on the Wrightsville side to defend the bridge, but the sheer number of the fast advancing Confederates caused them to retreat across the bridge to Columbia. The above Harper’s Weekly illustration shows the historic evening of June 28th, 1863. The fourth 200 foot span from the Wrightsville side had been set with explosive powder charges. Yet upon detonation, it merely splintered and wasn’t enough to bring the section down. It had to be burned. As the Rebels approached, barrels of oil were rolled out and four men, John Q. Denny, Jacob Miller, John Lockard, and Jacob Rich hastily dumped the barrels on the span where their charges had been set. Their torches were tossed. The fire started at 8pm and burned for six hours, consuming the entire bridge. The winds blowing from the east carried glowing embers into Wrightsville, setting houses, business, and a lumberyard on fire which the Confederates, at a loss to do anything to save the burning bridge at that point, actually helped put out by forming a bucket brigade. The Gray and the Blue. 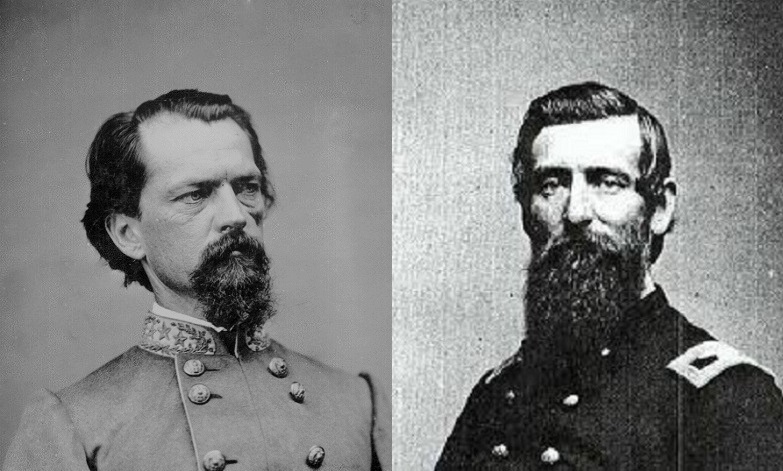 On the left is Confederate General John B. Gordon, who wanted to get his troops across the Columbia-Wrightsville Bridge. On the right is Colonel Jacob G. Frick of the 27th Pennsylvania Militia, who gave the order to the four Columbia volunteers burn the bridge. The result had the South crossed the Columbia Wrightsville Bridge could have been an entirely different outcome to the Civil War. 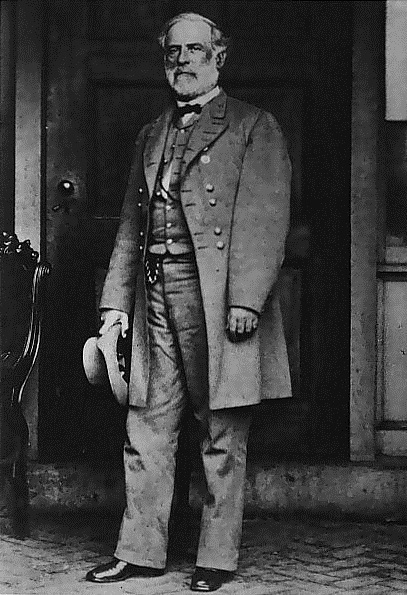 By 1863, Robert E. Lee wanted to bring the war to the Union, marching across neutral Maryland with his mind set on taking Harrisburg. That would have definitely included destroying or taking over all iron industry and railroads along the Susquehanna, thereby stopping the shipping of supplies and the production of iron for munitions needed by the Union Army. Had they crossed, the Confederates would have also continued on to the east to make attempts on Lancaster, Reading, and Philadelphia. 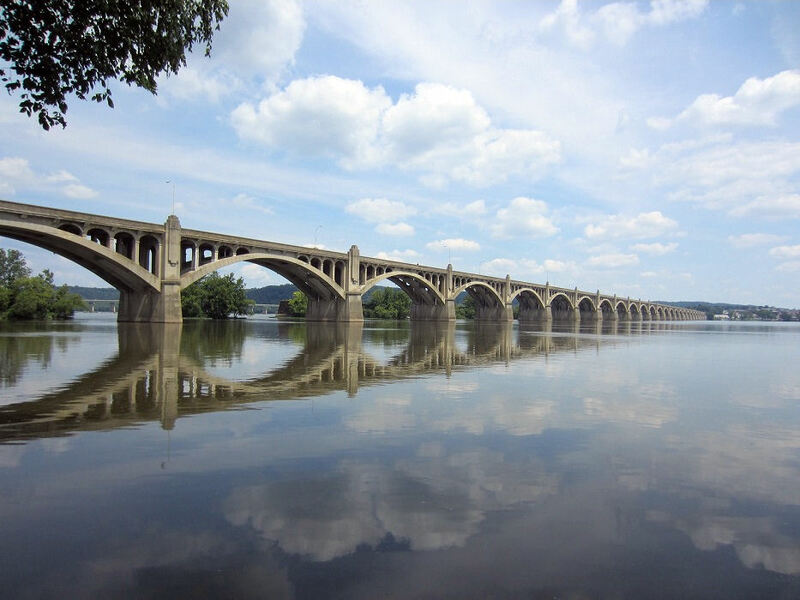 The burning of the Columbia Wrightsville bridge stopped the Rebels at the furthest eastern point they would ever venture in Pennsylvania. The actions by four brave men resulted in the history we know now. The Confederates retreated from Wrightsville to end up at the battle of Gettysburg only days later. The two day opening volley of artillery could be heard like thunder from eighty miles away in Philadelphia. For a most indepth description of the events on June 28th, 1863, and the immediate aftermath, click on the below link. This very easy to read double spaced eight page 1913 typed description is incredible. It was dictated in 1913 by the wife of one of the four men who burned the bridge, Rachael Duchenne Denny. Her husband John Q. Denny, one of the four to toss lighted torches on the oiled span, was none other than the manager and operator of the Henry Clay Iron Furnace, just a stones throw north of Columbia below Chiques Rock along the river. She was 28 years old in 1863. Remarkably, she remembered everything. Overlook Park. 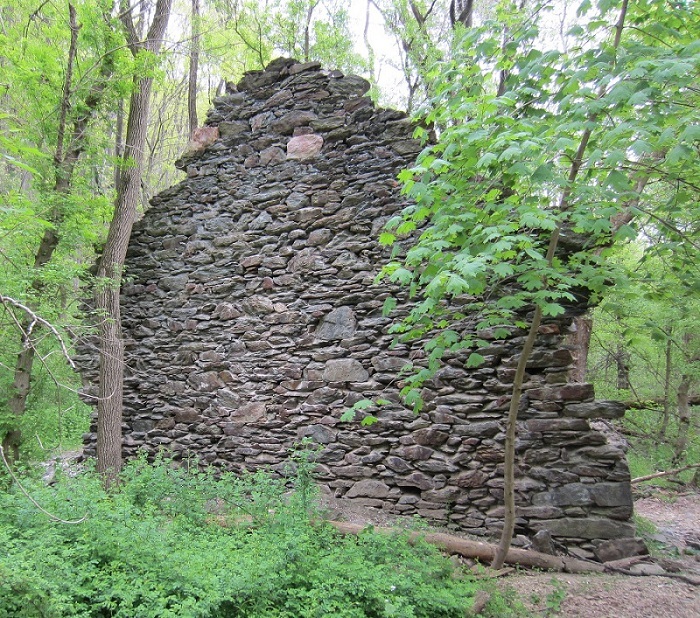 Just north of the bridges and below Chiques Rock is the Henry Clay Iron Furnace. It’s located this side right about center along the base by the current railroad line. The Confederates would have loved nothing better that to destroy or control for their own needs, this iron blast furnace that had been operating since 1845. Interesting to note in the above photograph, at the direct center of the picture, over the tree covered bluff, a crow would fly a straight line to Harrisburg. At the bend is Marietta. This side is where the Confederates wanted to be and it would have been devastating to the Union, as most of their army was south and west of York and Wrightsville at the time. After walking down a very steep hill from where I took the above photograph, the following photographs show all that’s left of the iron furnace John Q. Denny managed and operated in 1863. 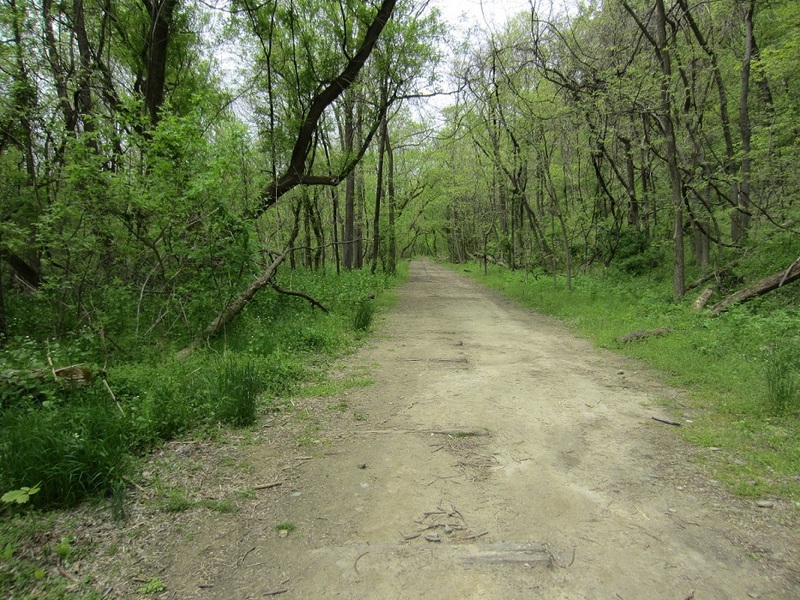 This is the current trail in which can be seen traces of the original 1800’s railroad tracks. What’s left of the furnace is just a little ways further up this old railroad line. Walking north, the now filled in Pennsylvania Canal is to the left of the trail. From what I could gather from the mounted information map at the site, along the old tracks to my right, the above picture shows the area were where the employee tenements once stood. 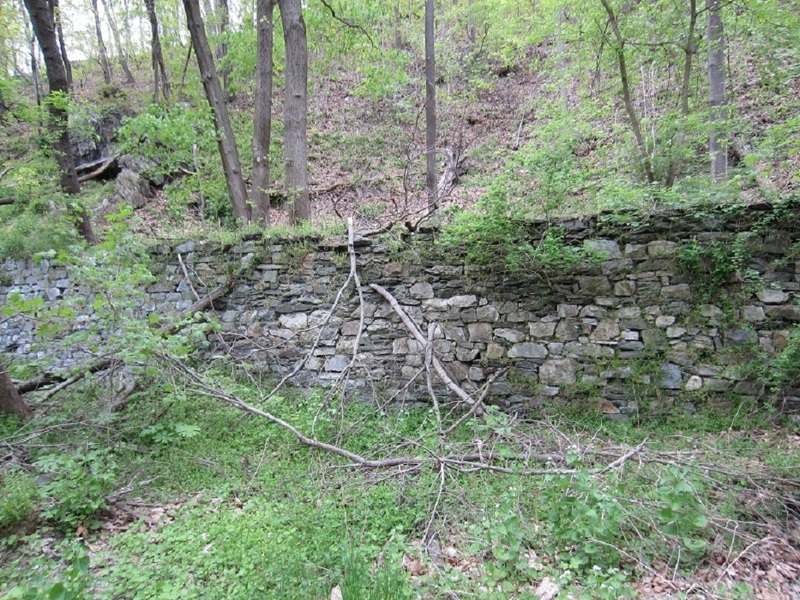 Below is what’s left of the northern end of the two story wall of the furnace office. After so much time and quite a few devastating floods, it’s amazing the wall still stands. 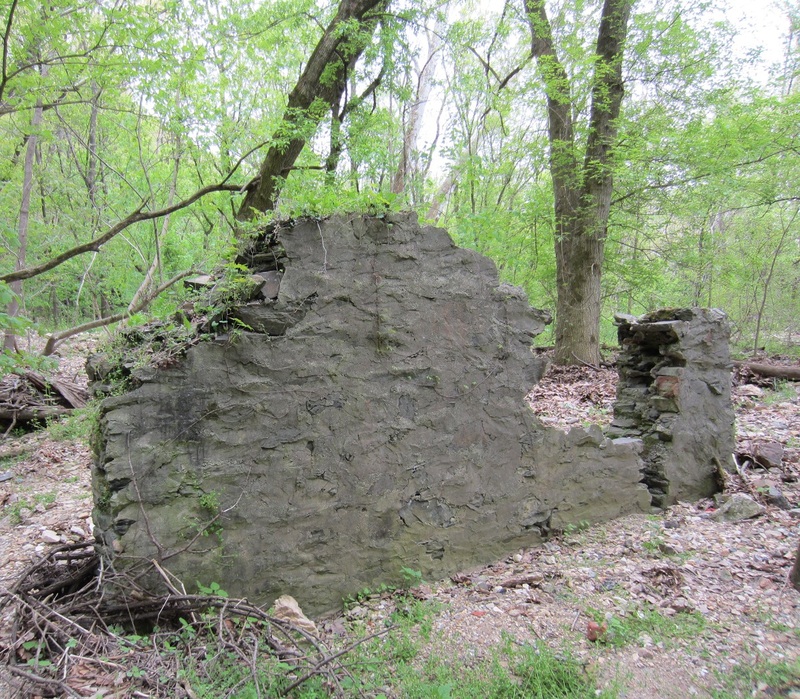 Below is what I believe to be the remaining ruins of the casting house based on the site information plaque. At the very right edge is the path and the old tracks. 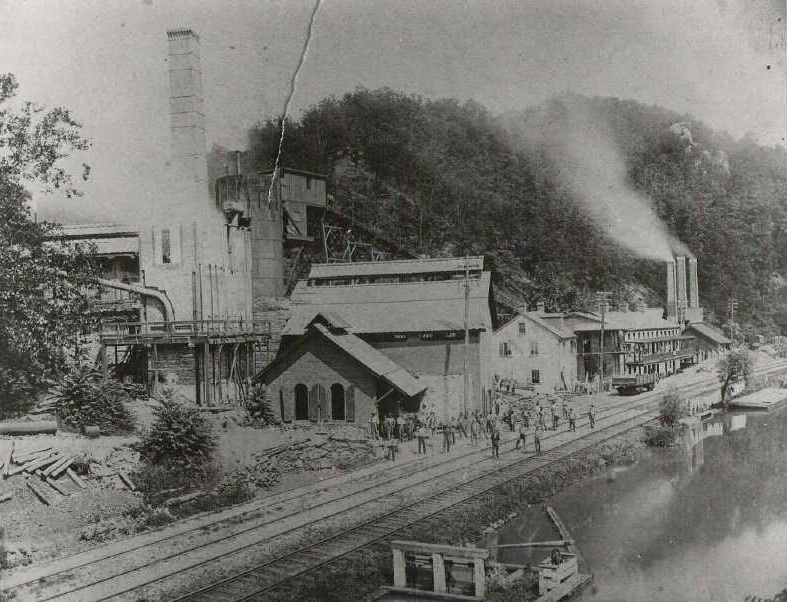 Although the photograph on the site information plaque was badly faded and a little vandalized, I found the same photograph it features, showing the Henry Clay Furnace circa 1880. 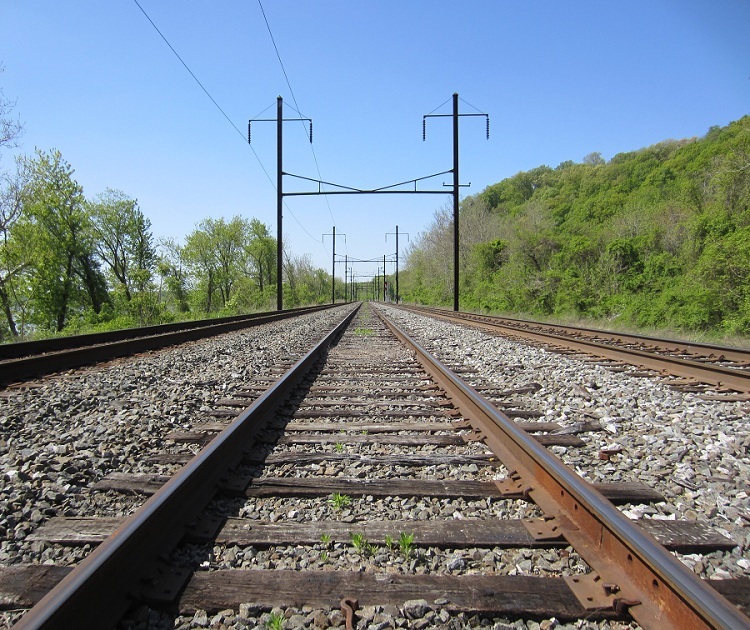 Very interesting; the tracks which became the trail, and the Pennsylvania Canal now a filled in swampy area, leading up to the modern day Pennsylvania Railroad tracks currently in use right at the river’s edge. Crossing the filled in canal, below are the tracks that border the Susquehanna River now. Facing north. To the left is the river. I sometimes hear a freight train’s lonely, yet not so distant whistle from my house during the night as these tracks pass two miles from me. 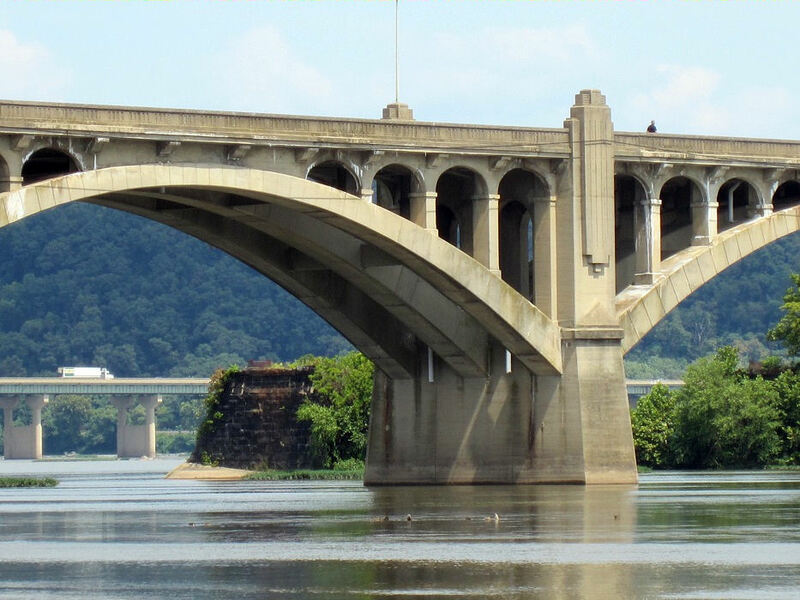 The “Burning Bridge” was the second bridge to cross the Susquehanna between these two towns. 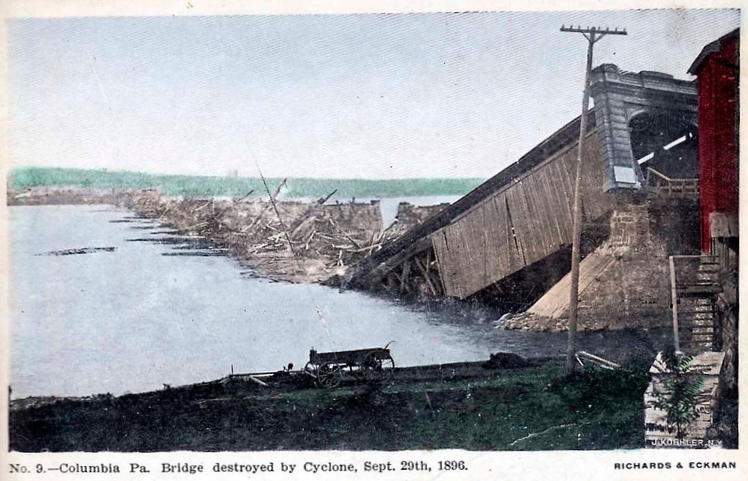 After the bridge was burned, the stone pier abutments were purchased by the Pennsylvania Railroad in 1864 for $57,000.00 and another covered bridge was built in 1868-69. This was the third bridge and it wasn’t fire that brought this one down, it was the winds from a hurricane on September 30th, 1896. It was becoming apparent that a wood covered bridge would not withstand the elements over this beautiful, yet dangerous river. 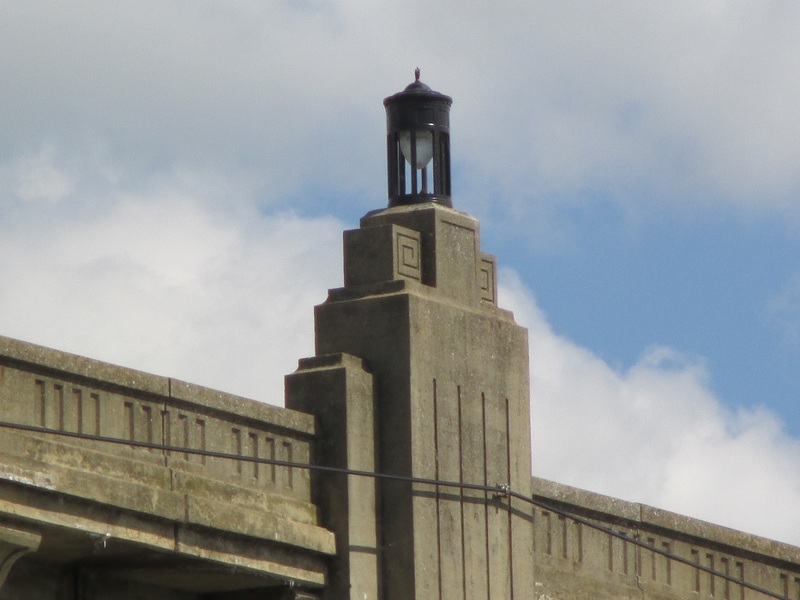 A whole new style and structure was needed if the Pennsylvania Railroad’s bridge was going to stand the time and elements. 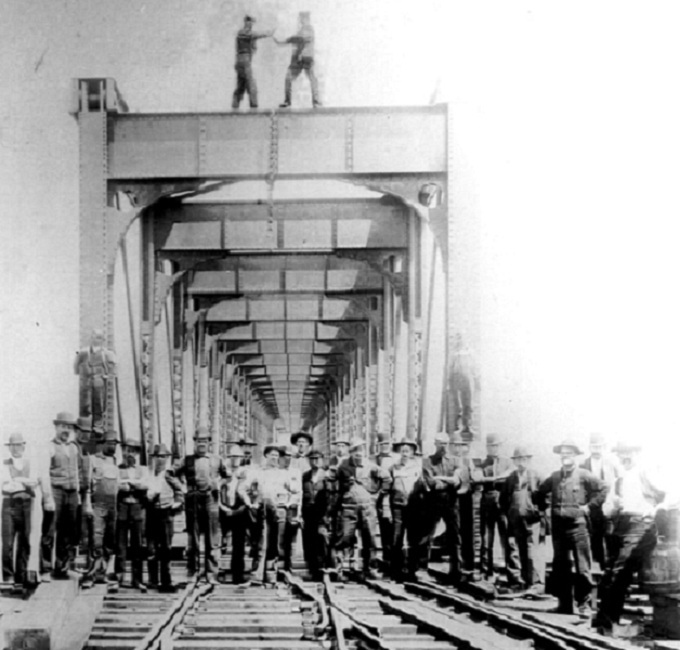 It was on April 16th, 1897 when the workers started this bridge. 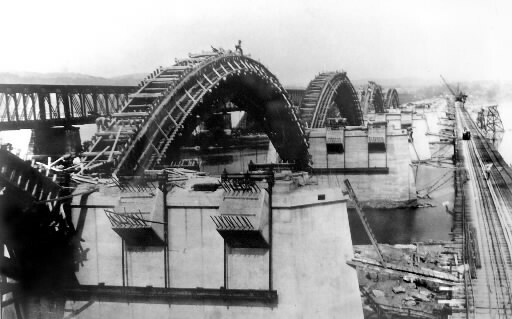 Incredibly, in 26 calendar days, on May 11th, 1897, the bridge was completed. A mission accomplished and an incredible job at that. Note the two workers shaking hands on the top. 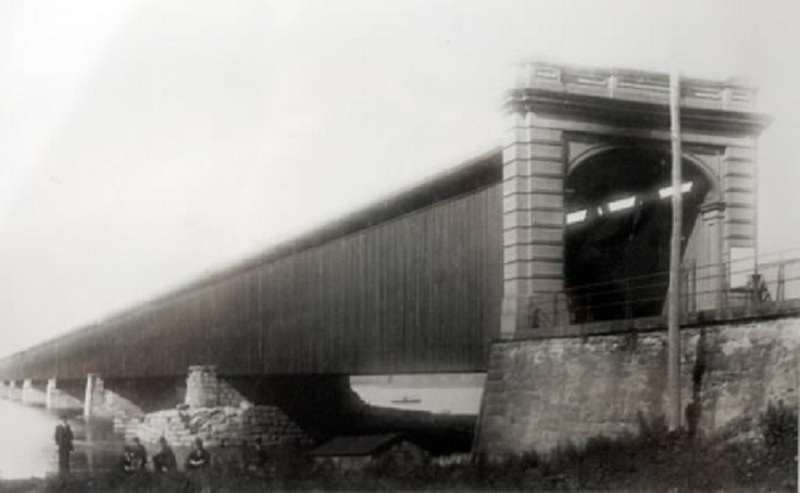 This bridge was later intended to handle automobiles as well as trains. An upper level roadway was intended for motorcar traffic, but was never built. This bridge did carry motor vehicles, but due to traffic jams in the 1920’s, as the cars bottled up waiting for crossing trains, a new bridge was planned. 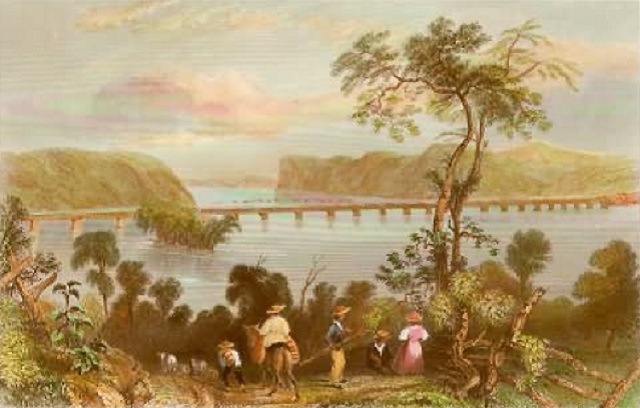 Above is shown the iron bridge spanning the Susquehanna that was built in less than a month. 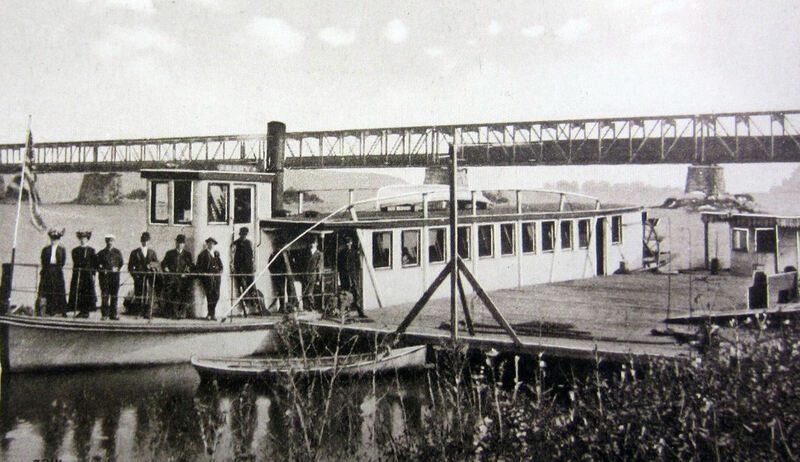 This circa 1910 photograph shows a rear paddle wheel steam powered ferry. Noting the single small boat stowed on the roof of the passenger area and its capacity relation to the approximately 60 foot ferry, I surmise that this is definitely a pre Titanic photograph. The photographer also managed to time a train crossing from the right. This bridge was in active operation until 1958, the year the last train crossed. It was dismantled for scrap in 1963, leaving the original 1834 stone abutments as the only reminders. 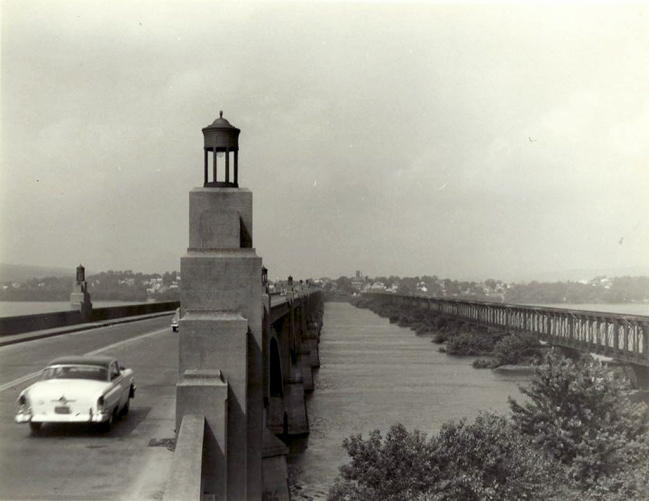 The Veterans Memorial Bridge Started in 1929 and completed in 1930 was originally called the Lancaster-York Inter County bridge. It’s difficult to imagine what 100,000 cubic yards of concrete and 8 million pounds of reinforcing steel could look like, let alone the stunning architectural marvel it is today. It was an amazing engineering accomplishment to have only taken one year to build, especially when seeing it under construction. It’s amazing living in an area so rich in history, but watching it traditionally celebrated every year is fantastic. 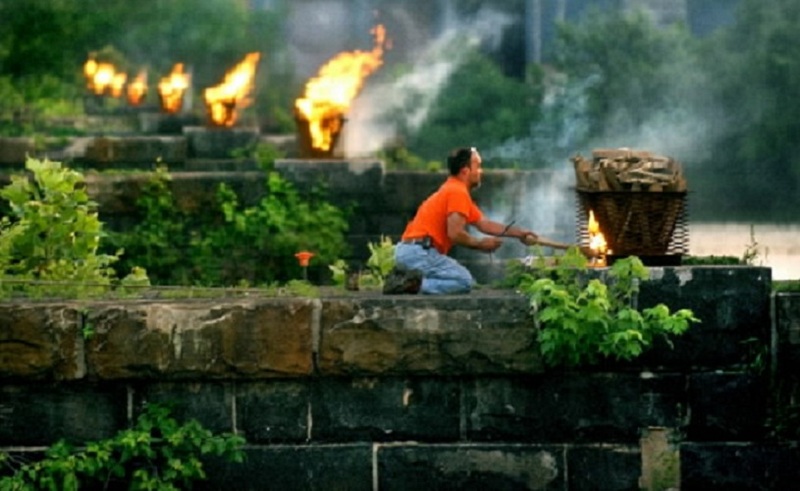 Last summer was special, marking the 150th Year Anniversary of the Burning Bridge. It’s more than a mile, but I think you know the date by now. The old lights are back! The semi-modern cobra lights were in need of replacement and beautiful facsimiles of the original 1930 lights were created and installed by the end of June, 2014. I like to see ‘progress’ of this type. The above mid 20th Century photo shows the original lights. One of the 2014 lights.